Welcome to Boot-Racks.co.uk, supplier of car luggage racks. We are Boot-Racks.co.uk, stockists of car boot luggage racks. available for most classic sports cars, modern coupes and convertibles. Traditional, Classic and Vintage style boot luggage racks for older classic cars such as MG, Jaguar, most Triumphs, Austin Healey, Alfa Romeo, Fiat and many other period and specialist vehicles. 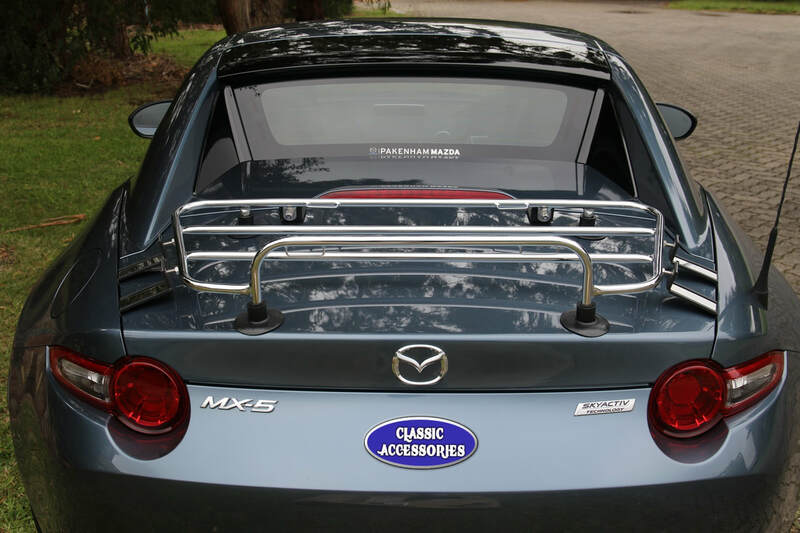 Contemporary style luggage racks for modern convertibles such as the BMW Z3, Fiat 124, Mazda MX5, Jaguar F Type, Mercedes SLK, Porsche Boxster, Toyota MR2 and the new VW Beetle Convertible. Bespoke Quick Release style boot luggage racks for many specialist vehicles and kit cars such as Jaguar Kougar, JBA, Marcos, Marlin, Merlin, Messerschmitt, NG, Panther, Scimitar, TVR any many others. Please use the navigation at the top of the page to see the options available for your car, or alternatively let us help you find the correct luggage rack.